Everything in the digital marketing world seems to move at light speed. And like most things in life, just when you think you have it all figured out, everything changes. As a result, we marketers need to stay sharp, flexible and inspired. We need to make a concerted effort to stay on top of industry news and trends in order to grow our brands and keep pace with the competition. We need to be lifelong learners—and on-demand webinars can be incredible tools to help us do all this and more. Not only do on-demand webinars help you learn new things and refine your skill set, but because they’re archived events you can listen and learn at your own pace and on your own schedule. But with literally thousands of on-demand webinars out there, where do you start? My best advice would be to target your most immediate learning needs and move on from there. From SEO and content to email and social media, below is a compilation of 10 free on-demand webinars that could be a great starting point. 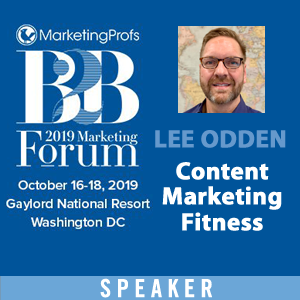 TopRank Marketing CEO Lee Odden joins BuzzSumo’s Steve Rayson for a webinar to discuss what it takes to be the best answer for your audience—whenever and wherever they’re searching. Watch the webinar on YouTube. Get more details or register to watch. Influencer marketing is a hot topic in the marketing world these days. 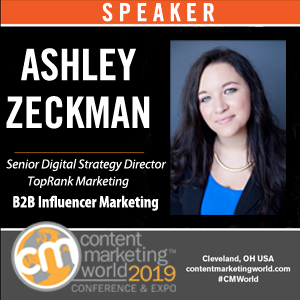 TopRank Marketing’s Lee Odden joins Uberflip’s Hana Abaza for this webinar dedicated to helping B2B marketers create better better content that gets shared more often, reaches more prospects and grows their influencer network. Social media and influencer marketing are two powerful digital marketing tactics. But what happens when they work together? 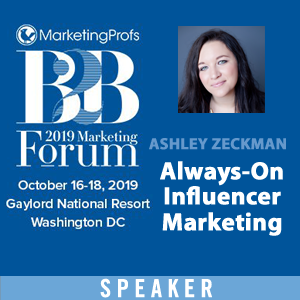 Cision’s Natalia Dykyj and Stacey Miller walk you through how to use social media to build mutually-beneficial relationships with the influencers your audience trusts. Get more details or watch. While email marketing is one of the oldest digital marketing tactics, it’s still one of the most effective when it’s done right. 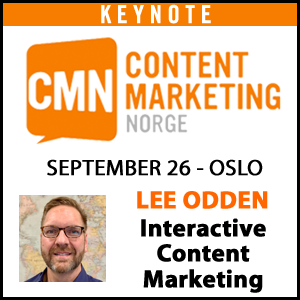 Content Marketing Strategist Jamie Bradley, of email marketing software company Emma, and CMI’s Joe Pulizzi team up in this webinar to get your creative juices flowing. Evolution in search engines means an evolution in how marketers optimize their content for search. 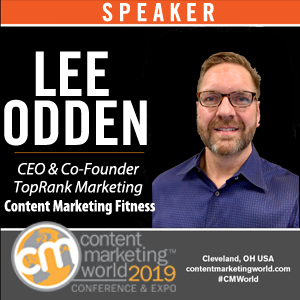 This webinar featuring CMI’s Joe Pulizzi and Co-founder & Strategic Director of Orbit Media Andy Crestodina, will walk you through the five most important actions for aligning your efforts with the future of SEO. Two of Marketo’s Social Media rockstars, Lisa Marcyes and Scott Minor, lead learners through the latest advancements in social media and give tips for leveraging each platform in a way that hits the right notes with your audience. The hour-long webinar can be watched with commentary and also has a SlideShare version to make it easy to download and reference in the future. The visual nature of the human species has never been more evident than it is right now. As a result, videos are booming on social media channels right now. This Hootsuite webinar features a great lineup of speakers including: Paul Gillooly, Monster’s Director of Digital Communication and Social Media, social media thought leader Mari Smith, and Hootsuite’s own Senior Director of Growth Marketing & Education Cameron Uganec. If you’re looking to discover the best way to measure the return on your marketing efforts, this webinar from Nielsen is for you. In this webinar, marketing analytics expert Josh Kowal shares findings from the Digital Media Consortium II and Nielsen’s perspective on the present and future of marketing ROI analytics. In this webinar from Unbounce, PPC leader Brad Geddes explains how to optimize your AdWords campaigns to drive the most qualified leads possible to your landing pages. Choose to learn, marketers. You’ll feel energized, confident and inspired. Is there an on-demand webinar that you would recommend to other marketers? Share your suggestions and thoughts in the comments section below. So glad you found it useful! Thanks for reading!